Website and app developers are a valuable and costly service. If you’ve booked a good developer, they will take some time to understand your business needs and translate that onto a digital platform. It may seem daunting for you to understand what to ask or expect from the developer, so here are a few key questions to make sure you maximise the investment of the development work. Statistics show that you have 3 seconds to grab the attention of someone online. Most people when browsing the web open more than two tabs for the same search. If your website is the slower of the two, you will very likely lose out on the customer. This is unfortunate since your product may have been the better of the two. One request you should definitely have for your developer is for them to confirm with you the speed of the site. Below is a report your developer should have for you – it shows the load time of the site in milliseconds (0,35 seconds in the example below is a great speed), the site performance measured out of 100 and how fast the site is compared to other sites. The site tested in the example below is nubianetwork.com. There are two ways in which an app can be developed: either a native app or hybrid app. Depending on your requirements in terms of your project timeline and functionality, you should check with the developer on how your app is being developed. Native apps have full functionality, are more costly and would demand longer time to build. Hybrid apps have limited features but would take less time to produce than a native app. Time is key in today’s world. You want to launch your business online, but the developer needs time to put your project together in a coherent and effective way. Consult with your developer and ask them to give you a project timeline: how soon can you expect to see a prototype, how long should the entire project take, what are some milestones in the project where you can have a check on the development. A prototype is a great tool to check on the development and ensure your project is being translated well onto a digital platform. Make sure you are very clear about your needs of functionality of the site, if you have big requirements, you will need to budget accordingly. Here are some stats on how apps fair on Google Playstore. 60% of apps developed have never been downloaded. 20% have only been used once. 95% are abandoned within the first month. 6% of users drive 95% of the in-app sales. 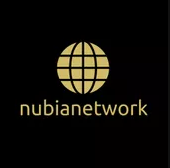 If you’re looking for a developer, have a look at nubianetwork.com, they offer a free prototype and give defined timelines.